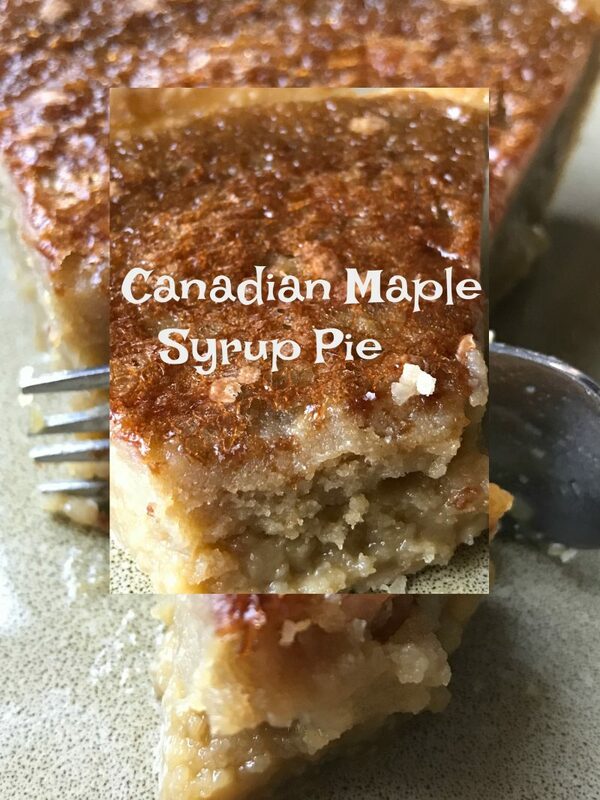 This recipe for Canadian Maple Syrup Pie comes to you via Canadian Living. A wonderful resource for all things Canadian and a fantastic resource for many delicious recipes. This is truly one of those recipes. 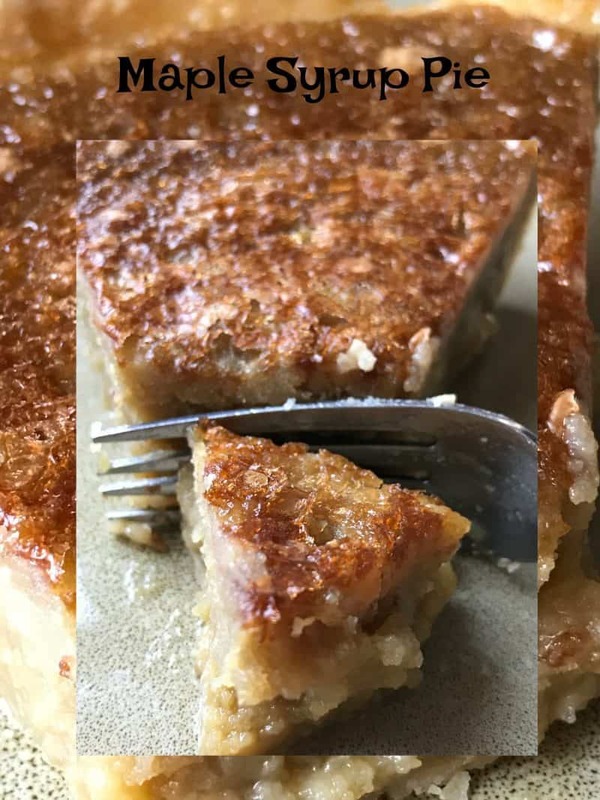 I have enjoyed maple syrup in many different ways, including drizzled over snow, but I have never made a pie with maple syrup before, until now…Boy, have I been missing out! This pie is fantastic. The sugar maple is Wisconsin’s state tree. If you like to get to the source of things like I do, then you have a chance to see how maple syrup is made at the Wisconsin Maple Sugar Festival in Aniwa, WI. There you can taste fresh maple syrup served over pancakes. There are other ways to enjoy maple syrup and many other festivals as well. Bubolz Nature Preserve’s Super Syrup Day, they’ll introduce you to the joy of eating syrup on ice cream. One of the most natural of American experiences left in this highly commercialized world is to gather the sap from the sugar maple tree in spring and make it into syrup. Wisconsin is a large producer of pure maple syrup and offers the unique opportunity for this authentic experience. Very little has changed in the procedure since the days when pioneers relied on maple syrup as a basic sweetener. When people think of maple syrup, they often times think of maple syrup as being a fall or winter “flavor.” Maple Syrup signals the beginning of spring. It’s still a festive occasion in many communities when families and friends work together to gather the sap and turn it into maple syrup. It’s very strenuous work, but the thrill of tasting the “first run” is well worth the effort. Holes are drilled into a “vein” of the trunk of the maple tree when snow is still on the ground and before the buds start to enlarge. A metal spout is hammered into the hole and a covered metal pail is hung from it. On the first days of thaw the sap slowly begins to drip, and the rounds of gathering the sap begins. A sledge drawn by horse or tractor holds a large tank into which the sap from each pail is poured. The sap is brought to the “sugar house” and emptied into a large pot. There it must be carefully tended over a low fire (preferably a wood fire) to keep the sap at a correct boil for inducing the best flavor. The long hours and process of turning clear sap into syrup begins. The yield from this lengthy procedure is small, one gallon of syrup from 30 to 40 gallons of sap. Many more days of boiling further reduces the syrup down to maple sugar. Maple syrup was strictly graded according to color until 1979, when the system was simplified to only two grades: Grade A and Grade B. Pure maple syrup has a subtle and delicate taste. The lighter the color of the maple syrup, the more delicate the flavor. The darker the maple syrup, the more robust flavor. Pure Maple Syrup can easily be substituted for molasses, brown sugar or cane sugar in many recipes. The best way to use maple syrup is in anyway where the flavor will shine. 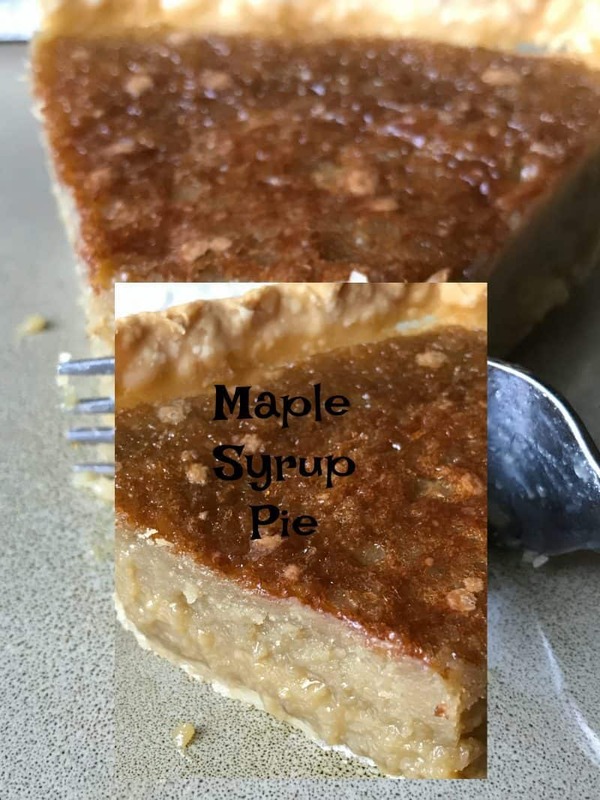 Maple syrup goes well with anything such as: apples, squash, sweet potatoes, peaches, pears and/or in any baked good recipe such as: pies, cakes, cookies, bread, cinnamon rolls or coffee cake. Over the years, metal spouts have been replaced with heavy duty plastic ones and metal pails and metal covers have been replaced with “bags.” Heavy duty plastic tubing and large plastic sap holding containers have also made sap collection a lot easier. Blue “sap bags”are now hung from maple trees, replacing the more traditional covered metal pails. The availability of the plastic sap collection bag has had a lasting impact, especially among backyard sugar makers and hobbyist. The plastic sap collection bag is a single season disposable bag that hangs from a metal frame. Invented by Adin Reynolds of the Reynolds Sugarbush in Aniwa, Wisconsin in 1958, the Reynolds Sap Sak first became available for commercial sale in 1966. The Reynolds Sap Sak was distinctive with its bright blue bags, although it is possible to use a clear plastic bag as well. Reynolds bags were simple, thin and very inexpensive plastic bags that were designed to be thrown away at the end of each season. Thinner bags were a little more prone to splitting when the sap froze on cold nights and squirrels were known to gnaw through the corners. The Reynolds Sugar Bush initially promoted their bag through their Wisconsin equipment dealership and in 1967 Adin Reynolds was awarded a patent for this invention. In time, with its popularity and demand, it began to be carried and supplied by nearly all maple equipment dealers. The Reynolds Sap Sak is still sold and in used across the U.S. and Canada. To learn more about Bear Paw Scout Camp check this out: Bear Paw Scout Camp. A deliciously sweet pie with the distinctive flavor of maple. Pastry: In large bowl, whisk flour with salt. 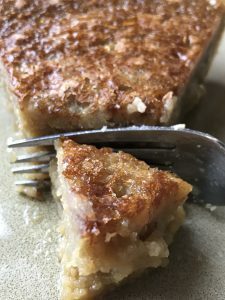 Using pastry blender, cut in butter and lard until in fine crumbs with a few larger pieces. On lightly floured surface, roll out pastry to 1/8-inch thickness; fit into 9-inch pie plate. Trim to leave 1/2-inch overhang; fold overhang under and flute edge. Sprinkle with walnuts, if using. In large bowl, whisk eggs with brown sugar until creamy; whisk in maple syrup, cream and flour until smooth. Pour into pie shell. Bake on foil-lined baking sheet in bottom third of 375°F oven until pastry is golden and filling is puffed and dry to the touch but still trembles, 40 to 45 minutes. Let cool on rack.